The easy and insightful voice of extraordinary thinker and adventurer, Greg Bishop. 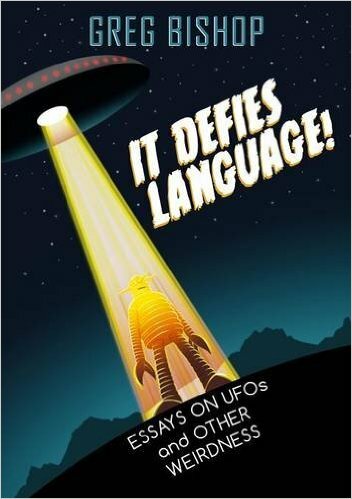 “Greg Bishop’s latest book, “It DEFIES LANGUAGE” is a unique compendium of this writer’s exceptional ability to stimulate original thought on many areas of the ‘weird’ and ‘fringe’ universe. The reader will come away feeling both intellectually stimulated and refreshed – – not to mention reassured that their own passion to explore and ponder ‘unconventional’ stories or their personal experiences is soundly justified. “The conclusion that the phenomenon known as UFOs is caused by aliens is premature and narrow. Contrary to what you have been led to believe, there is no real reason to conclude that we are being visited by beings from other planets. In spite of this, whole industries, organizations and egos are built on that assumption. When the latest stories of lights in the sky are aired or written about, every single account reported in the media brings up the ubiquitous people from other planets. That belief has kept us running in circles for decades. It has become the only way to talk about the subject, with no more evidence than our ingrained expectations. Something that should be leading us into new areas of exploration by its very strangeness is locked into a prison that we have built for it. Speculation on the nature of UFOs and our ideas and interactions with the enigma are pregnant with possibilities, but the jokes and dogma try desperately to keep the monster at bay. READ HIS FASCINATING NEW BOOK, IT DEFIES LANGUAGE!! “The psychosocial hypothesis builds on the finding that most ufo reports have mundane explanations like celestial objects, airplane lights, balloons, and a host of other misperceived things seen in the sky which suggests the presence of an unusual emotional climate which distorts perceptions and the perceived significance and anomalousness of merely terrestrial stimuli. THE PSYCHOSOCIAL HYPOTHESIS “is particularly popular among UFO researchers in the United Kingdom, such as David Clarke, Hilary Evans, the editors of Magonia magazine, and many of the contributors to Fortean Times magazine. It is also popular in France since the publication in 1977 of a book written by Michel Monnerie “Et si les ovnis n’existaient pas?”(What if ufos do not exist?). First of all, 95 % of UFO sightings are recognized as natural or manmade phenomena. The 5 % are important only because of the UFO industry, ego-trips and fantasists. To speak about flying objects is conjectural. In my view, UFOs are not flying and are not objects. The UFO meme is strong enough for some people. A meme acts as a unit for carrying cultural ideas, symbols or practices, which can be transmitted from one mind to another through writing, videos, sounds, speech, gestures, rituals or other imitable phenomena. Supporters of the concept regard memes as cultural analogues to genes in that they self-replicate, mutate and respond to selective pressures. I have no idea about whom or what is behind the phenomenon, but I am totally and absolutely convinced that the Extraterrestrial hypothesis is forged. Until this very moment, there is no evidence of extraterrestrial intelligent life here or in any other place of the Universe. There is a relatively big but totally contradictory mythology concerning Extraterrestrials, without any kind of evidential or rational value. The presumed “extraterrestrial” messages are a sad mix of New Age, Pseudo-religion, self-help and very human ideas and prejudices. Abductions are mostly planted pseudo-memories and fantasies or self delusions. After more than forty years of research in the field, writing and talking with many people of different ages, social positions and professions, this is a short synthesis of what I think about the UFO phenomenon. For the Rational Ufologist, the UFO Phenomenon is an unsolved mystery, and because of this, Rational Ufology investigates the social, psychological and political impact of this phenomenon. Paradoxically, that 5 % of Unidentified Flying Objects that remain unidentified has a secondary importance. 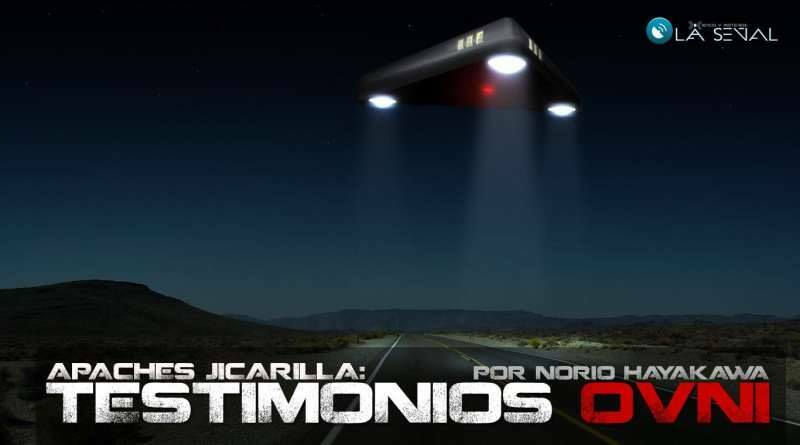 The priority is given to the hypothesis about the origin and behavior of the UFO phenomenon, and also to the rational and logical interpretation of the mythology and pseudo-sciences created by the different interpretations of the enigma. Contactees, self-proclaimed experts, mystics and improvised prophets give different ideas and versions of the phenomenon, but Rational Ufology demands evidences. The interpretation of the UFO Phenomenon by the irrational ufologists is confused, contradictory and fallacious. There is talk, but no facts, and in many cases, we find a dishonest manipulation of hypothesis and pseudo events given as facts. In the rhetoric of the Cosmic Gurus we see this phenomenon in action. Nonsense replaces the real world and balloons are transformed into big ET spacecrafts. Contactees give us New Age talk as Extraterrestrial messages, ex rock musicians become Aliens and lawyers time travelers. However all this must be considered and analyzed in Ufology. We must recognize the distorted impact of the UFO phenomenon in our society. WE should understand the UFO subculture as spectacle, as the promise of a bad defined solution. The whole manipulation of the disclosure activism is not directed towards a solution of the UFO enigma. The important thing for these activists is to sell their statements and conspiratorial delusions. The society of the spectacle is also the world of the simulacrum. 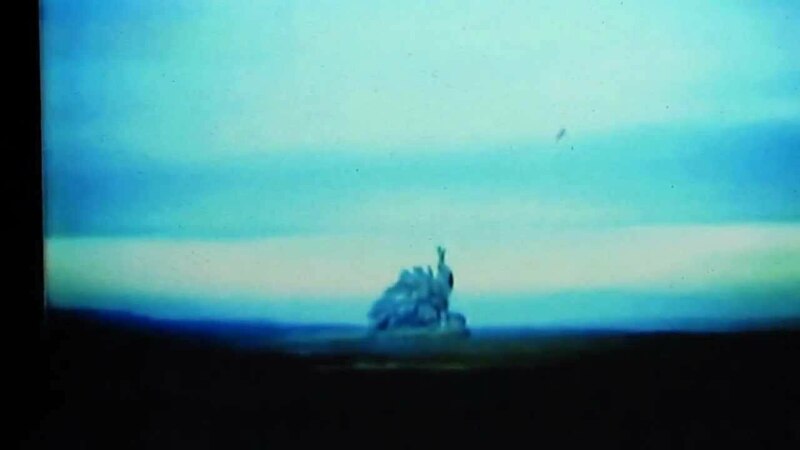 The picture is more important than the real thing, and even worst, contactees, and self proclaimed UFO experts try to make us believe that their rhetoric is the real thing. That is why they deny Science but instead give us fairy tales as facts and fictions as real events. BEWARE OF THE UFO INDUSTRY !! At 5:30 in the morning in the mountains of south central New Mexico, something shook Barbara Kent out of her top bunk bed. 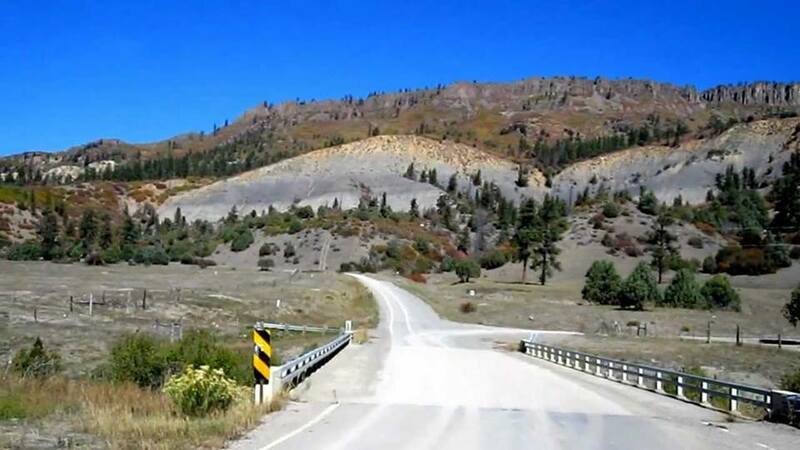 The 12-year-old girl crashed down on the floor of the Ruidoso, New Mexico cabin where she was attending summer camp. “It was the biggest jolt you could imagine,” says Kent, recalling to VICE the moment — 71 years ago this past Saturday — that the first atomic bomb was detonated in the nearby White Sands desert. Kent was one of 12 girls that had arrived days before to attend summer camp organized by their dance teacher Karma Deane. “[Ms. Deane] thought the water heater had exploded so we rushed outside. It was just after 5:30 and it should have been dark—but it was like the sun had been turned on,” says Kent, describing the light, brighter than a dozen suns, produced by the first successful test of a nuclear weapon. 71 years later, Kent — now 84 years old — has suffered multiple bouts of cancer and is the sole remaining survivor of the camp (10 of the 12 of died before they turned 40). For many years, the cries for help of New Mexico Downwinders have gone unheard, while the impacts of the radiation on these communities are still largely unknown due to a lack of data or studies on the fallout. 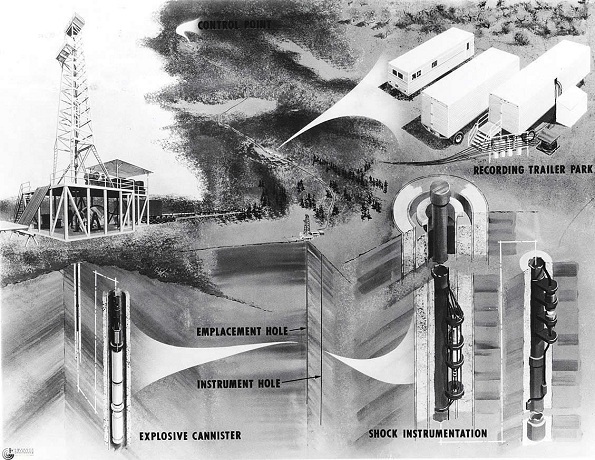 According to a study on radiation releases since 1943 by the Center for Disease Control (CDC) and the Los Alamos Historical Document Retrieval and Assessment (LAHDRA), “Too much remains undetermined about the exposures from the Trinity test to put the event in perspective as a source of public radiation expose or to defensibly address the extent to which people were harmed.” While conducting the study, the CDC and LAHDRA were given unprecedented access to previously classified and internal documents at Los Alamos National Labs. “We were unknowing, unwilling, and uncompensated participants in the world’s largest lab test,” says Tina Cordova, founder of the Tularosa Downwinders, a consortium which has been fighting for both recognition and compensation for the dowinders in the Tularosa basin of New Mexico. This year, the Downwinders began collecting health surveys (400 so far) on rates of cancer and other other diseases that plague Tularosa Basin communities. “The effects to us are clear,” she says, pointing out that everyone in her community has lost someone to diseases linked to radiation exposure. “From the beginning, the government has refused to take responsibility,” he continues. 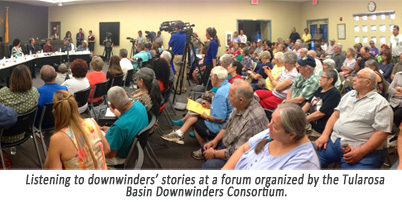 “We can’t undo the years of suffering, but we should make sure the victims receive similar recognition and compensation that other residents have received,” Udall’s referring to the compensation given to those effected by the Nevada Test site through the Radiation Exposure Compensation Act (RECA) and denied to New Mexico Downwinders. This past Saturday in Tularosa, community members fanned out behind the dugout of the local high-school base ball field to take part in the 7th annual Vigil commemorating the anniversary of the Trinity test. “This year, we have 700 Luminarias,” says Tina, motioning towards the small paper lanterns that dot the outfield—each light representing a Tularosa resident that has been lost to cancer. “We have all been affected,” says Henry Herrera, sitting with his wife Gloria along the first base line, their chairs pointed toward center field and the direction of the blast he himself witnessed at age 11. “I remember I was helping my dad pore water in the radiator, holding the funnel. Just as we got done with it there was was a hell of a blast and the cloud went up.” The radioactive plume rose over 38,000 feet in just minutes. The fallout around Trinity was, according to Shonka, potentially far worse then even Hiroshima and Nagasaki. “The cap is the nuclear bomb, and the stem is all the dirt that was swept up into it,” he explains, describing the iconic mushroom shape produced by a ground blast like the one at Trinity. “The bombs over Hiroshima and Nagasaki were detonated at 1900 and 1650 feet. Their stems never touched their caps, so there was never much fallout. For years, the voices of Trinity Downwinders were absent from political dialogue, newspaper coverage, or even public awareness. Archival research done by VICE at the Center for Southwest Research at the University of New Mexico, found numerous clipping from local papers, stretching back to the 50s, reflecting on the legacy of the Trinity Test. Yet until recently, there was no mention of the first victims of the Atomic Age. This has begun to change. 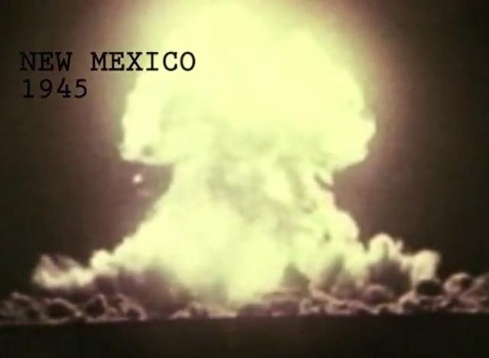 In 2015 — some 70 years after the Trinity test — the National Cancer Institute began the first-ever official health study to quantitatively estimate the number of cancer cases in New Mexico (past and future) that may be related to the nuclear test. That same year, Senator Udall took the senate floor and made an impassioned speech in support of the amendments to add New Mexico Downwinders to the government’s Radiation Exposure Compensation Program (RECA). Support has grown: Both US Senators and all 3 US house members from New Mexico are co-sponsors to the RECA amendments. But the measure has failed to advance in Congress for several years. “Many people here have little faith in the federal government,” says Tina, noting the trepidation of NM Downwinders towards both the federally funded health study and the will of congress to included their claims. Tomas Scolarici worked as a Foreign Service Officer, US State Dept 1986 – 2006, mainly with Radio Marti as relating to Cuba. Tomas’s mission mainly involved advancing US interests abroad, which some UFO cult leaders viewed as being a CIA propaganda agent and a “Cabal” operative. “Having no evidences to prove what they say, EXO fantasists and self proclaimed contactees’ favorite weapon is the personal attack; the logical fallacy called Ad Hominem. I am a US citizen born in Argentina and proud of my more than 20 years as a Radio Broadcaster in the Voice of America, Radio Marti Program. My work was to give information to the people of Cuba, that information that was denied to the Cubans by a brutal dictatorship ruling the island for more than 50 years. Also, he must tell us how many of my programs he listened or read. 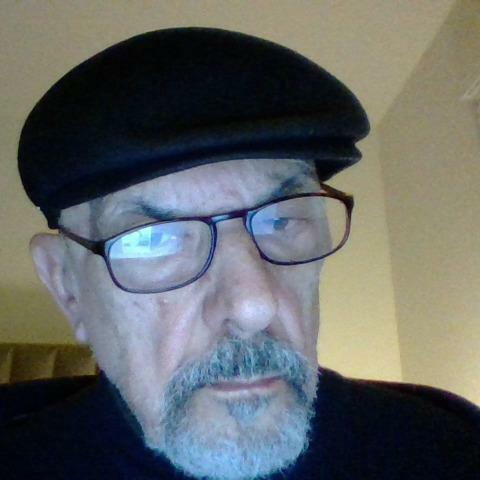 Webre also writes that I am a well known UFO debunker. This is not true. The UFO phenomenon not only exists, but has been with us from the beginning of history. From my own perspective, after more than 40 years of research, the Extraterrestrial Hypothesis about the origin of the UFO Phenomenon is not the answer. There is absolutely no evidence supporting the ET Hypothesis. Charlatanism, wishful thinking and plain nonsense will not give us the answer we look for. 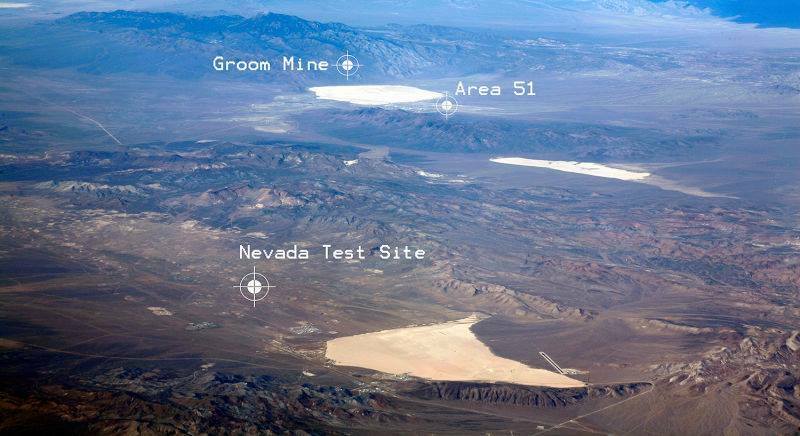 UFO Mystery is much more complex than anything we can imagine. The recognition of our ignorance will be the beginning of serious, scientific and rational research. What rational ufologists can do. 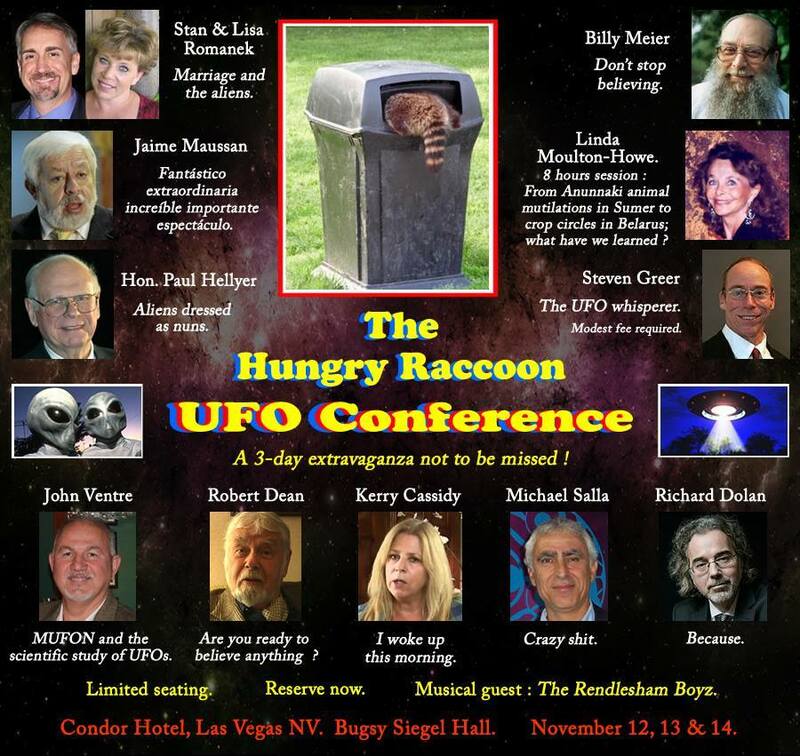 Question: is it possible to talk about Rational Ufology? Since more than 90% of the sightings become identified flying objects, the remaining 10% of such sightings are a rare, infrequent occurrence. After decades of research, it’s obvious for me, that there are not enough evidences to define the UFO as an extraterrestrial phenomenon. Extraterrestrial hypothesis, ETH, is just a theory but not a fact. This ET meme wrongly suggests that the phenomenon must have an outcome, a finale: the contact between us and these hypothetical aliens. However, UFO sightings are not a contemporary event but there are enough historical testimonies showing that there were always sightings, at least from the beginning of historical times. This fact suggests that one of the characteristics of the UFO events is the lack of contact. There never was and probably never will be any contact between us and the hypothetical ufonauts. 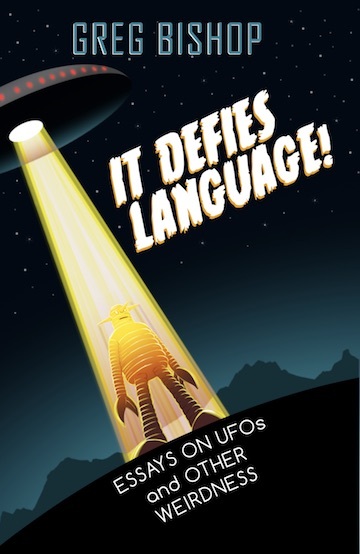 In other words contact is not one of the characteristics of the UFO phenomenon. In fact the UFO mystery suggests the existence of a program, instead of the activities of biological entities. In my perspective, the UFO phenomenon “behaves” as a computer program that, of course, we cannot understand. This program is doing his job, no matter what we believe or disbelieve. False expectatives are negative and futile. Now, if we consider the whole UFO phenomenon as a program, we cannot expect the fulfillment of our expectations, mostly products of science-fiction models. Rational Ufology should remain aware of this rare phenomenon that cohabits with us in this planet Earth, and also analyze the sightings and the sociological and psychological impact of the UFO mystery in our human conscience. That is why we are interested in fantasists, charlatans, neo-cultists and even borderline personalities. This is what we can do, if we want to learn something about us and about the UFO Program. Are these self proclaimed experts in Unidentified Flying Objects mad? 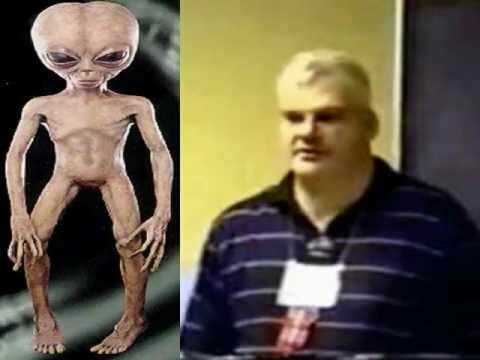 Extraterrestrials, conspiracy theories and similar tricks of the UFO Industry. Of course, if the neo-ufologists are sane, they have learned already that the whole UFO mythology is a great quackery. Just fiction sold as truth. Repeated unsubstantiated non-events, nonexistent sources, and total disrespect for those who want to believe. Someone should write about the sad personal stories of many who chose to remain in the company of charlatans and hoaxers. The individual making the report affixes the label of Unidentified to the object. My opinion on UFOs is that they do exist as UNIDENTIFIED OBJECTS in the mind of the observer. In a great many cases they turn out to be normal objects/astronomical events seen under unusual situations by excited observers. In other cases, they are vivid imaginations or simple hoaxes. Even the most hardened UFOlogist (one who studies the phenomena), who believes that there is something behind these reports, will admit that at least nine out of ten cases are misperceptions and hoaxes. The values usually turn out to be more like 3-10% of the reports remaining unexplained. With such a small percentage of remaining cases, one has to wonder exactly what reports are actual observations of objects that are something beyond what we know about the world today. For most UFOlogists, this means that the most likely source is spaceships from another world. This is a bold statement based on reports that are suspect with misidentification. This hypothesis, called the Extraterrestrial Hypothesis (ETH), is based on eliminating all possibilities for the source of the report. It is not based on any practical evidence that can be presented. 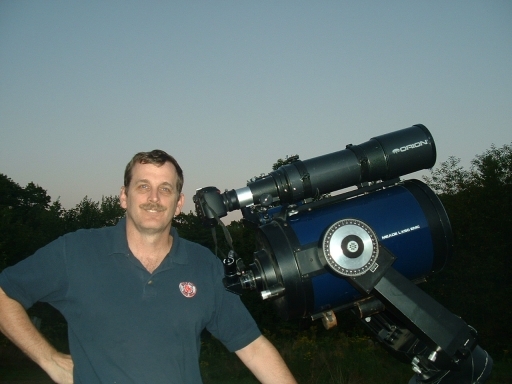 With over 30 years of amateur astronomy experience, I have yet to see anything I could not explain. I would love to see a genuine alien spaceship but have yet to see one. I have put in more observing time than most people who claim to have seen at least one genuine spacecraft! Am I not a good observer? Do I miss UFOs because they don’t want to come near my location? Is it possible that I don’t see UFOs because I do not believe in them? I doubt these possibilities. Perhaps the more likely answer is that I do not see UFOs because they are nothing but misperceptions and misidentifications by inexperienced/excited observers. They could also be observations of rare phenomena not known to the observer. Clearly, there are many possible explanations and the least likely is that of little green men in spaceships. However, there is a significant amount of the population who seriously believe that UFOs are actually alien spaceships. Why do they believe this? Probably because they are not very well informed, are selective on what they want to read/hear, or possess a strong desire to believe in something exotic/greater than themselves. The media tends to sensationalize many events and rarely examines a story beyond the minimum required. They add fuel to the fire in order to keep the viewer/reader interested. After all, the headline “Man Bites Dog” sells a lot more newspapers/captures more viewers than the mundane report. 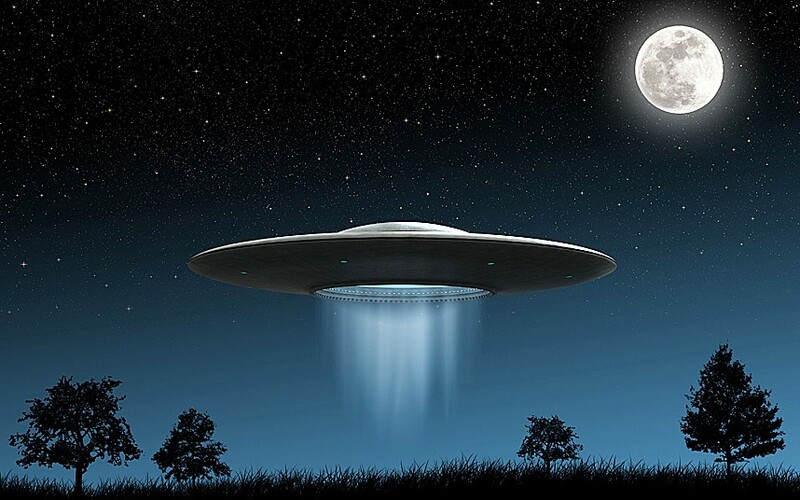 Despite over fifty years of “research”, UFO organizations have yet to provide us with any significant data that can backup the claim that UFOs are caused by aliens piloting spaceships. Many of their “investigations” are often suspect and tell only one portion of the story. These investigators will omit/ignore facts that indicate the source of the report was something more mundane. While the gullible media and public swallow “The saucers are coming” headline, it always seems like there is a more reasonable explanation. Radiation slowly began to leak in the surrounding areas. 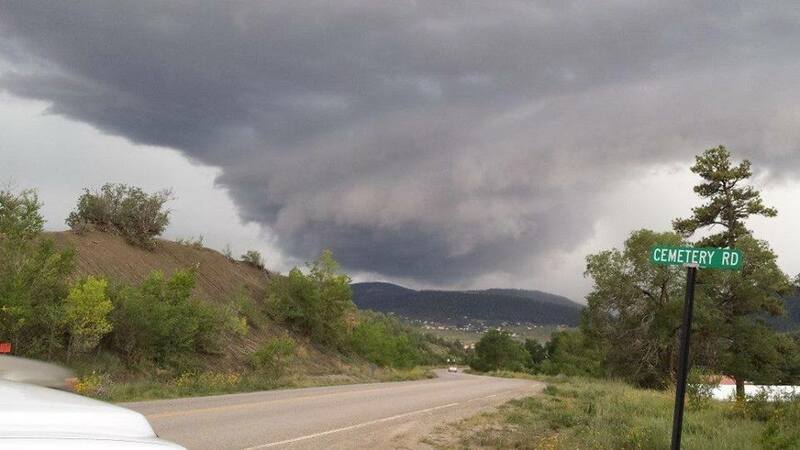 Dulce, New Mexico is not about aliens. It is about humans and the lingering health problems that have been kept from the public. There is no credible evidence whatsoever of the existence of a physical Dulce underground base in New Mexico. No, Dulce is not about aliens. It’s about a lingering human problem that has been hidden from the public unintentionally. Hidden behind the veil of outlandish rumors about the so-called “alien” base, the reality of the matter is that Dulce is pre-eminently about the lingering health issues affecting the community, i.e., the ongoing effects of radiation that leaked out in the neighboring areas from the 1967 Project Gasbuggy that took place just about 22 miles southwest of Dulce. This is the reason why the Dulce area has had a high rate of cancer and a high rate of infertility. That is basically what Dulce, New Mexico is about, not about aliens. Is it also likely that the government conducted tests on radiation by selectively choosing particular cows in the Dulce area, beginning in the mid 1970s? Did this type of research involve analyses of certain organs and tissues and did it also involve clandestine operations utilizing unmarked helicopters? There is no conclusive evidence for it. But the health-related issue must come out in the open. I am a member of The Jicarilla Apache Nation. My father passed from a brain tumor in 06. My Mother was just diagnosed on 1-13-17 with a brain tumor. I honestly believe there are no coincidences here. The radiation lingering effects are making my people sick with cancer. I myself can’t have any children. I have contacted several attorney’s who are Native American and specialize in Federal Indian Law. There are two types of folks in this world — those who live in the real world and those who live in “dreamland“.